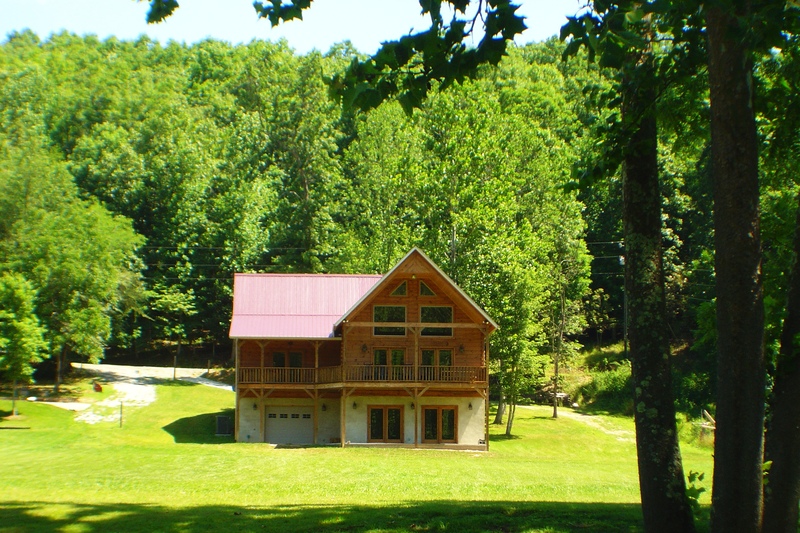 Looking for the ultimate vacation home in a perfectly serene setting by the river? 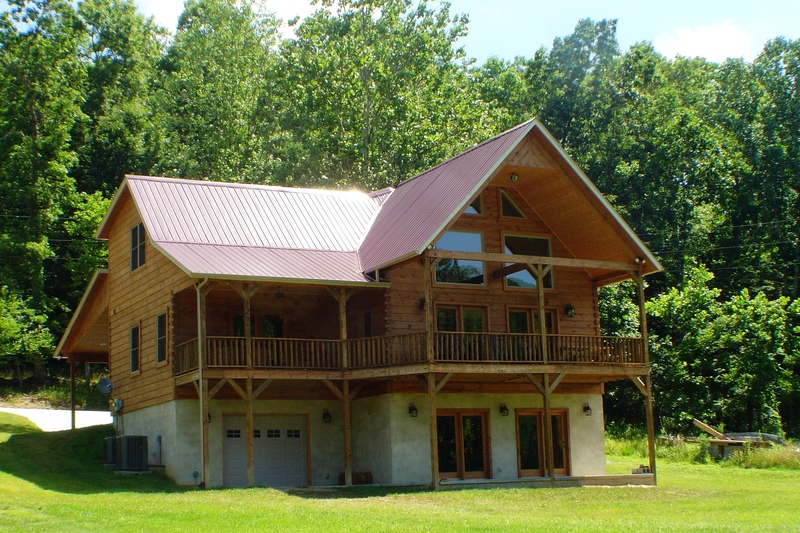 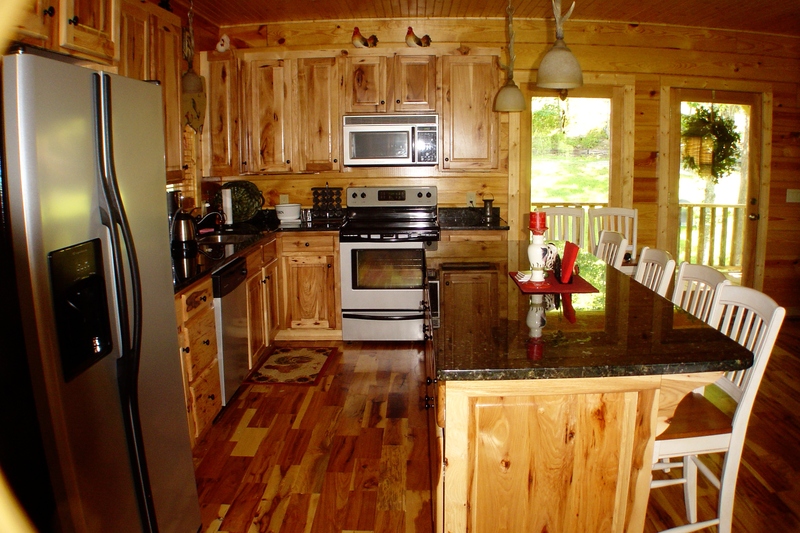 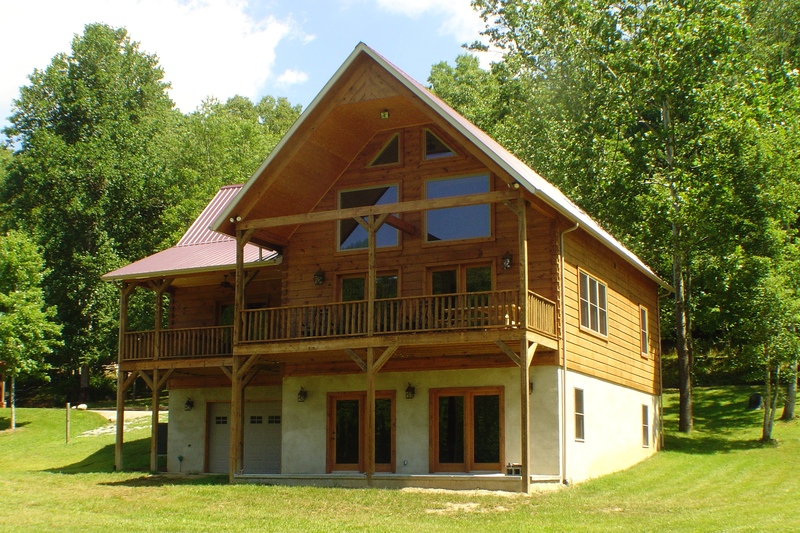 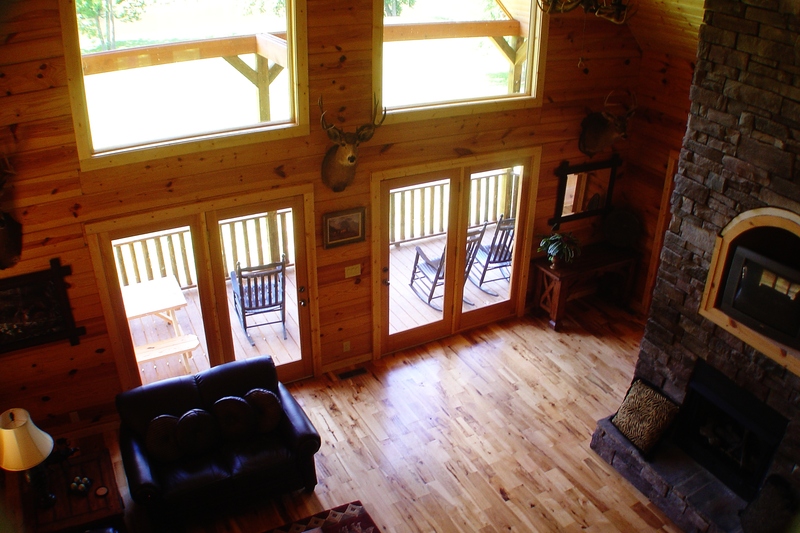 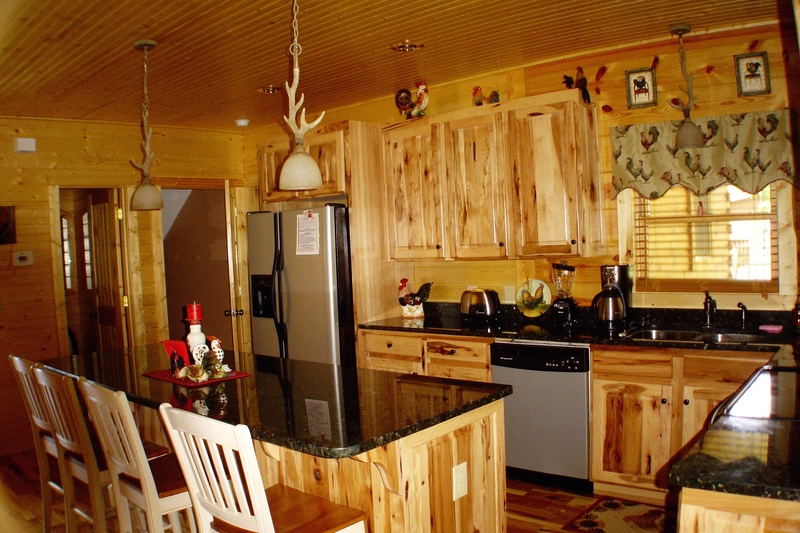 A three level log home for everyone to relax and have their own space? 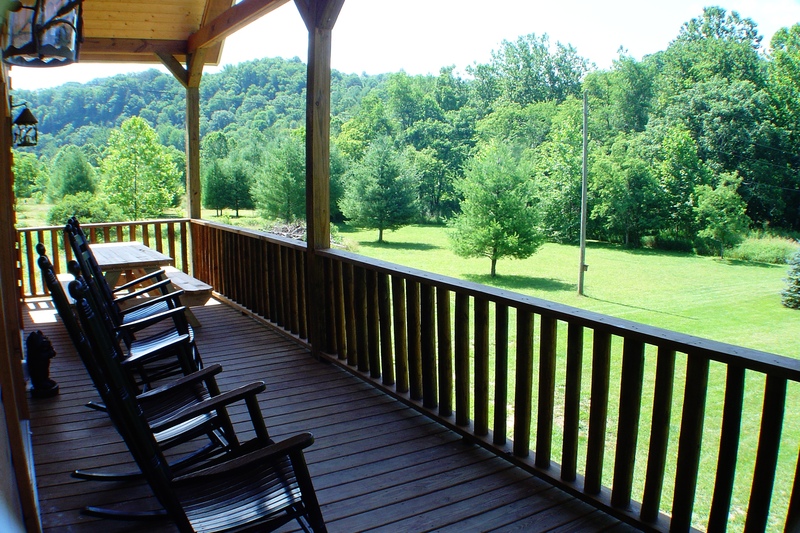 Riverside Retreat offers all this and more. 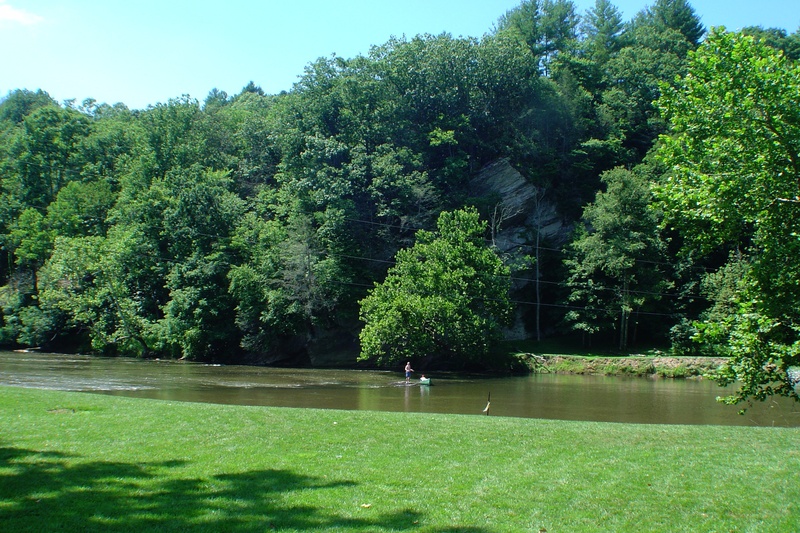 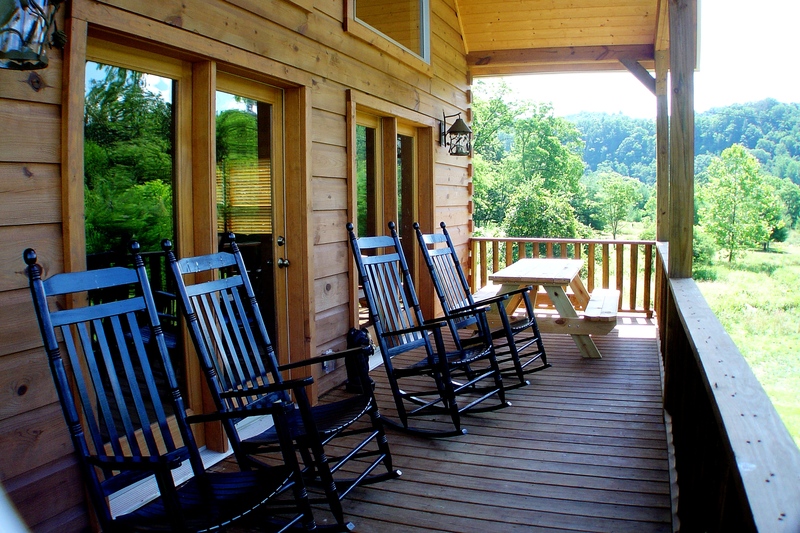 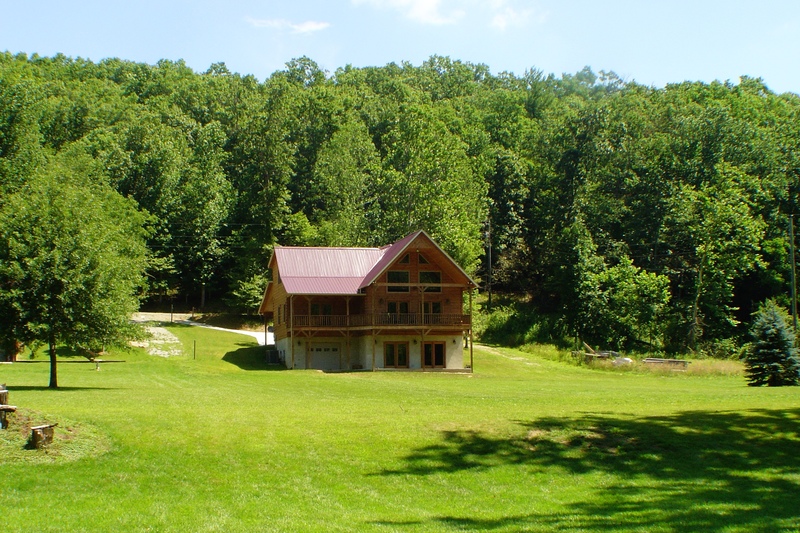 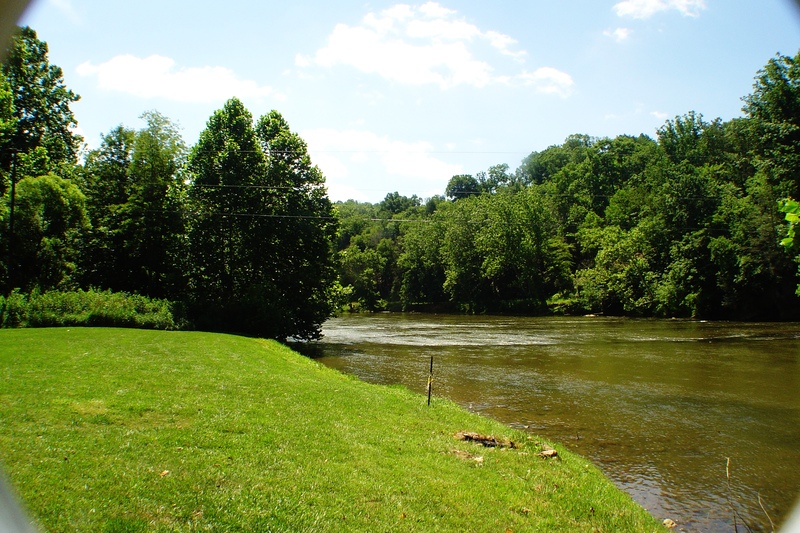 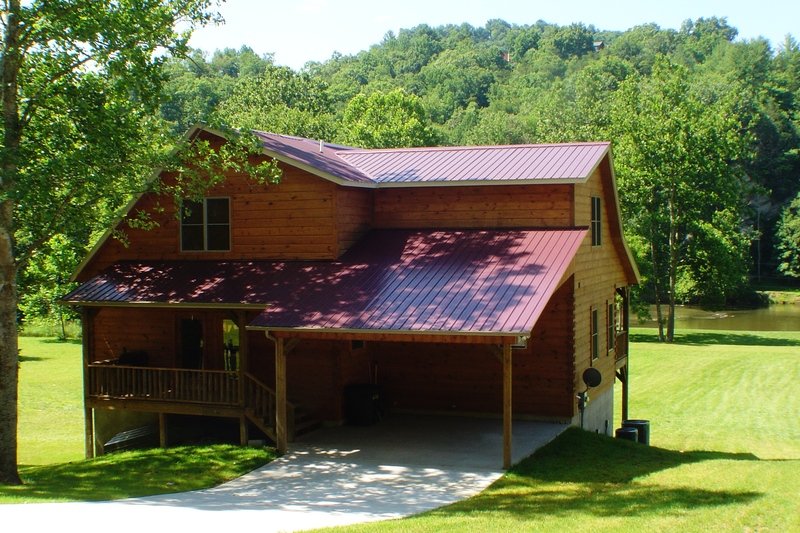 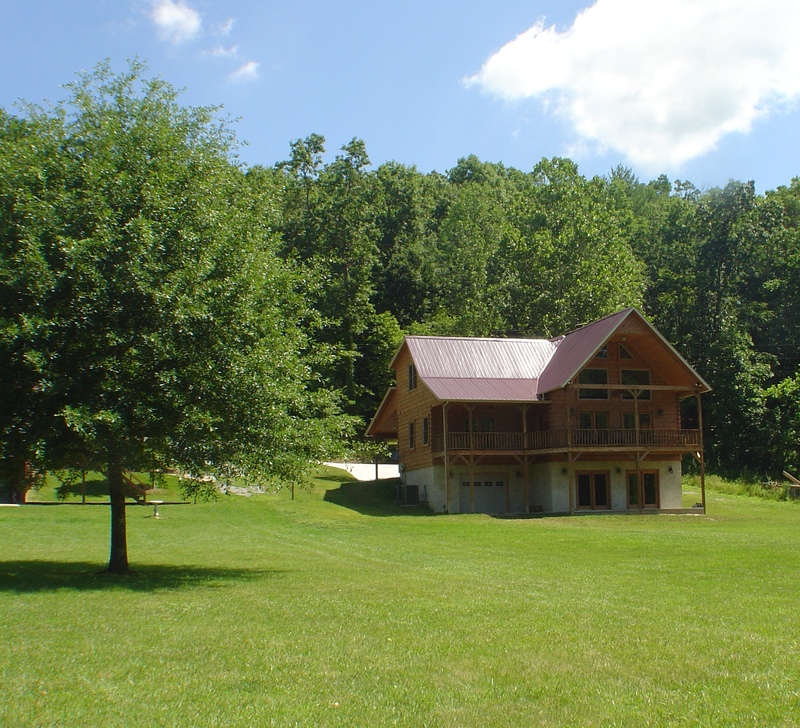 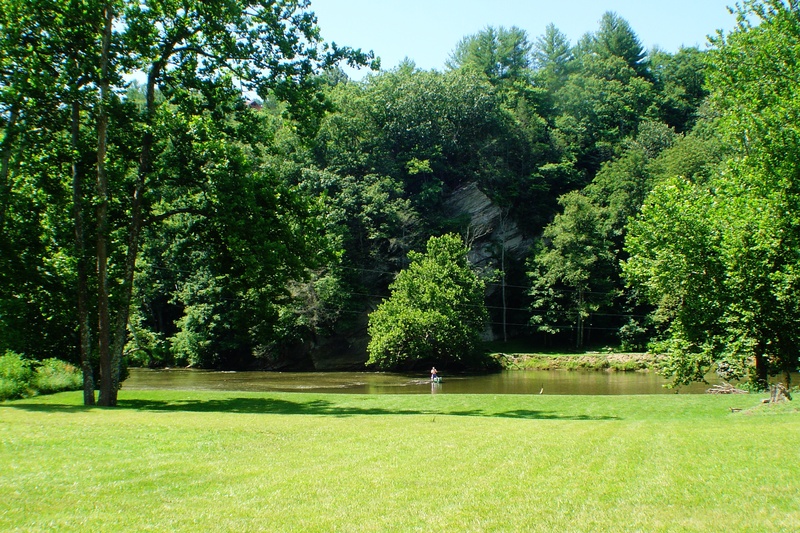 Situated on the New River only 3 miles from a canoe rental company, you're sure to enjoy your summer vacation on the river. 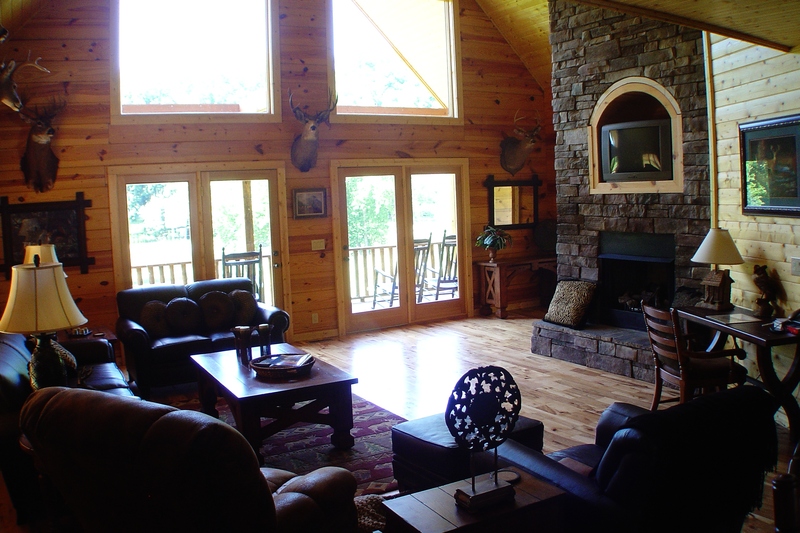 Inside this spacious home you'll find an expanse of windows in the great room with comfortable upscale leather seating, a stacked stone two-story gas log fireplace, satellite TV/DVD, double French doors leading to the covered porch with rockers and picnic table along with a roomy kitchen with stainless steel appliances including dishwasher, and seating for 14 in the dining area. 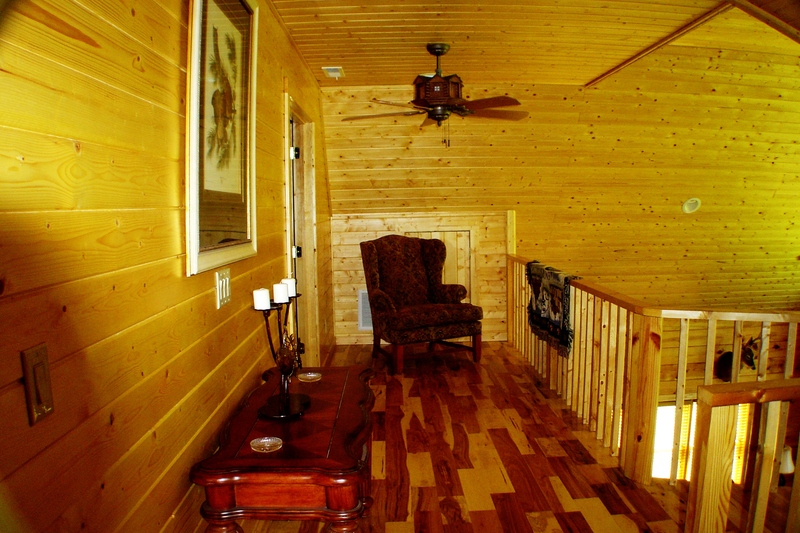 In addition, a desk and telephone are provided for catching up on paperwork. 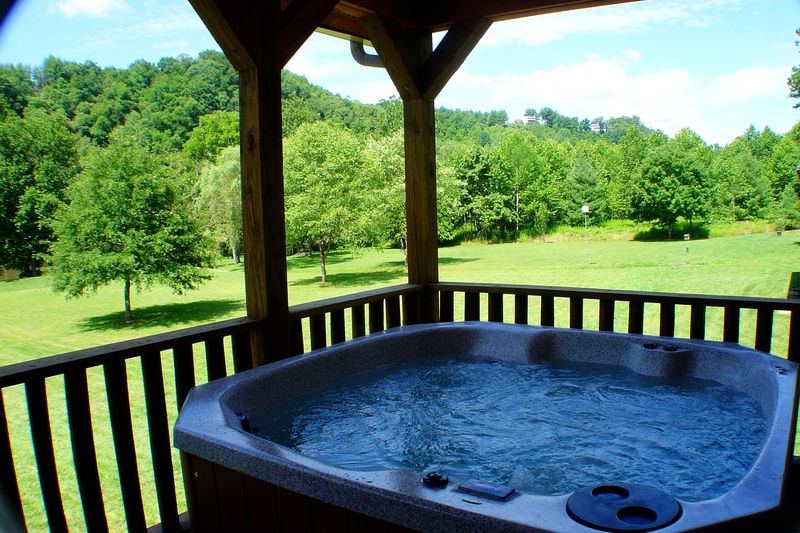 A large master suite with king bed, TV/DVD/VCR and private bath along with a walk-in closet, washer/dryer, and French doors leading out to the outdoor spa/hot-tub overlooking the river. 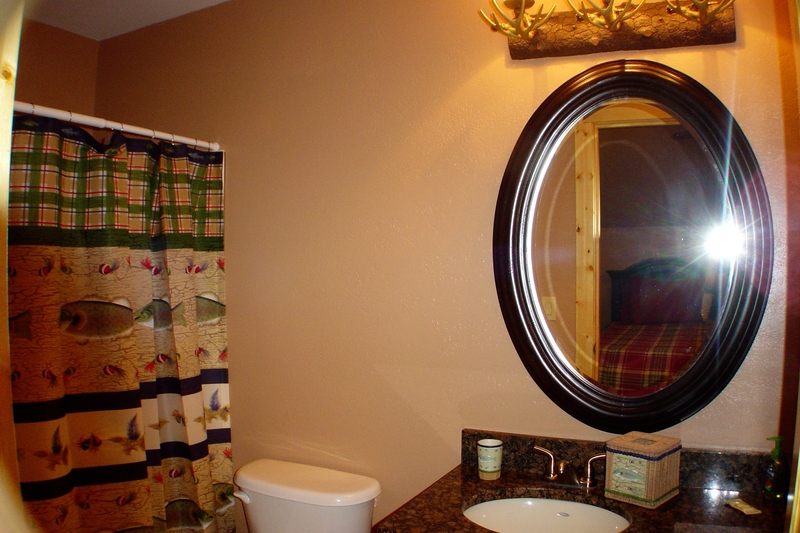 A half bath accessed from the living area is also provided. 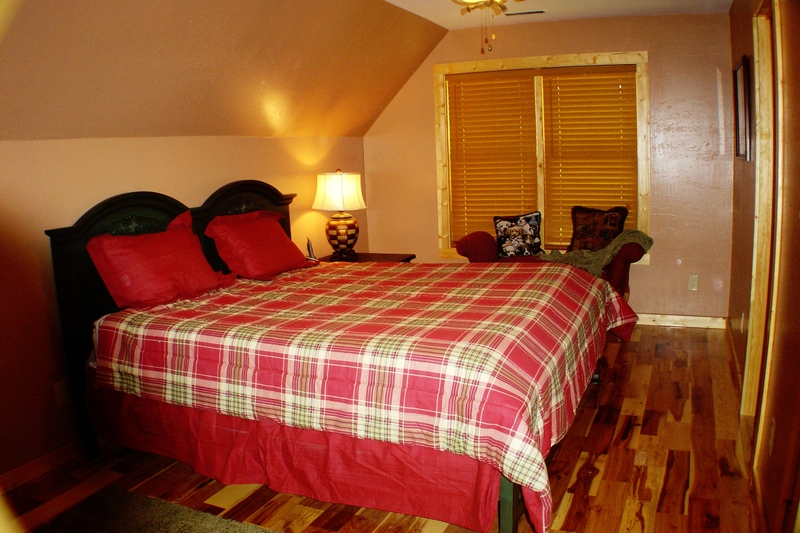 Upstairs you'll find two large separate master suites, each with their own private bath and plush king bed. 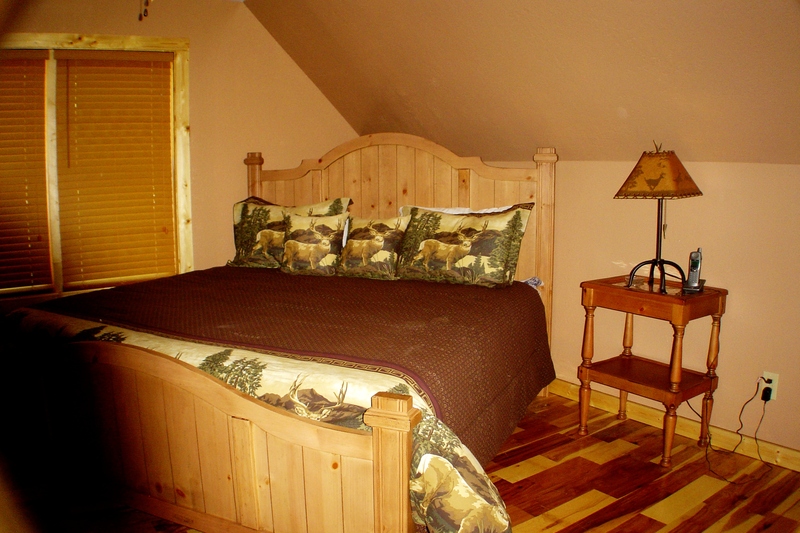 A TV/DVD combo for relaxing in bed is also available. 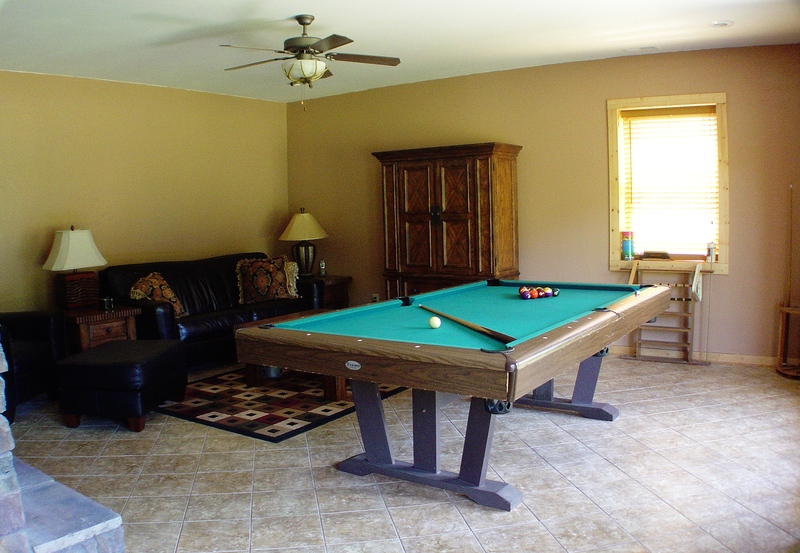 The lower level features comfy leather seating with TV and DVD combo, pool table, another full bath and large bedroom with two double beds and a set of bunks with twin and double. 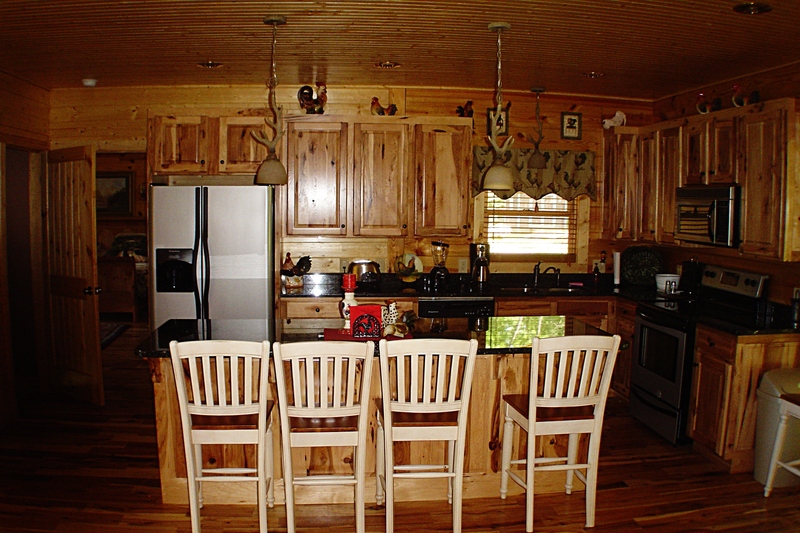 Towels and linens are provided as well as a charcoal grill. 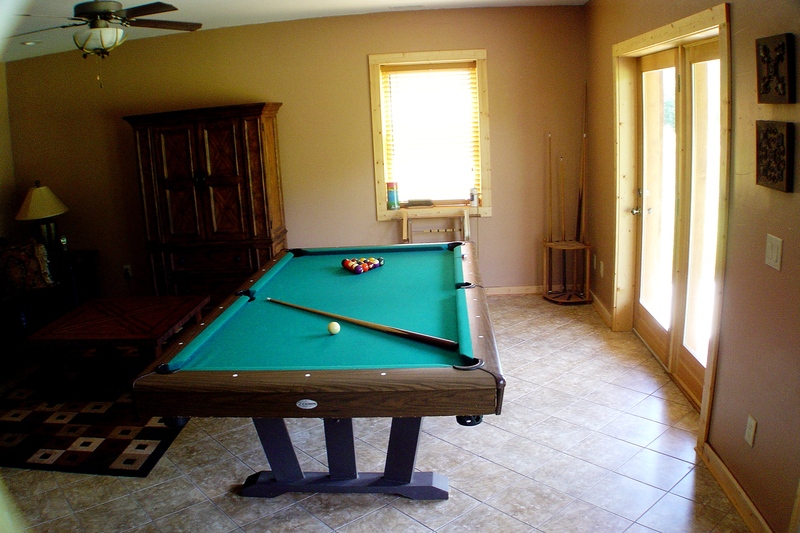 So, call the family and get the re-union going today! 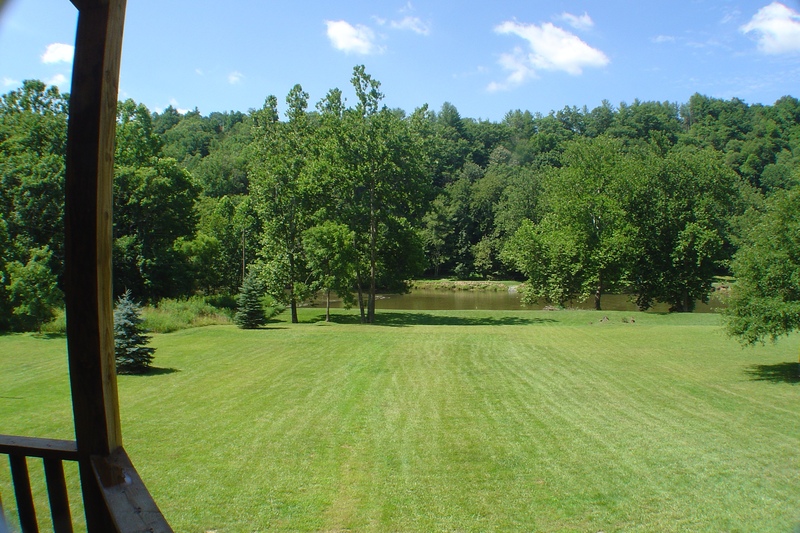 This great home is located just north of Jefferson, off Hwy 16 N. So if fishing, canoeing or tubing the river is in your plans the easy river access at the edge of the yard makes this the perfect relaxing vacation spot.